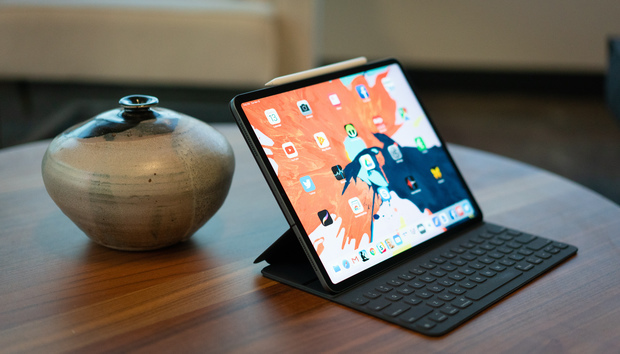 The new iPad Pro is an incredible machine, and it boasts cool features such as a faster processor, Face ID support, USB-C connectivity, as well as support for a greatly improved Apple Pencil. Normally you’d have to pay at least $799 for one, but we’re teaming up with AnyTrans to give one away to a lucky Macworld reader for the low price of free! If you win, you’ll specifically get a space gray 11-inch iPad Pro with Wi-Fi and 64GB of storage. You'll also win a free pre-activated version of the AnyTrans service for transferring, backing up, and managing your data. We especially like AnyTrans because it offers more control over the data you import to your new device than Apple’s own iCloud options. If you'd like to try out AnyTrans for yourself, you can download a free pre-activated version of AnyTrans for iOS or Android through this link between November 28 and November 30. Entering your email address through the widget below is good for a single contest entry, but you can earn additional chances to win by subscribing to one of our social media accounts on Twitter, YouTube, or Facebook. For yet another chance at winning, loyal Macworld podcast listeners can enter the codeword we mentioned at the beginning of the podcasts on November 28 and December 5. If you’ve already signed up to win, you can still enter this passcode afterward. The contest begins today and runs through Wednesday, December 12 at 9:00 a.m. Pacific. We’ll announce the winner on our Macworld Podcast on the same day at 10:00 a.m. Pacific. The giveaway does not include the new Apple Pencil or the Smart Folio Keyboard. Also, please remember to check your spam folder after the contest ends. Email addresses are our only means of contacting winners!